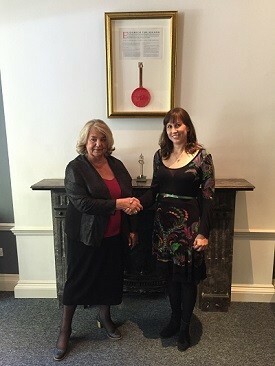 The Chartered Institute of Public Relations (CIPR), the professional body for public relations practitioners in the UK, and the Hungarian Public Relations Association (HuPRA), Hungary’s professional body for public relations and communication professionals, has signed a new bilateral agreement. Initiated and negotiated by members of CIPR International, the agreement between the two bodies facilitates the sharing and translation of best practice and resources, as well as making Chartered Public Relations Practitioner status available to HuPRA members. Chartered Public Relations Practitioner is awarded to public relations professionals who can demonstrate an outstanding level of professional practice and knowledge, along with a commitment to continuous learning. This benchmark of professional excellence and integrity represents the highest standard of knowledge, expertise and ethical practice in public relations, and was first awarded by the CIPR in October 2009. Global public relations is now so often at the heart of what we do as public relations practitioners. The CIPR’s worldwide reputation, which is first class, is nurtured through our global affiliates and through CIPR International, which liaises with CIPR’s 1100 worldwide members. I am therefore particularly pleased that we are signing this important bilateral agreement with HuPRA. It marks the start of what I hope will be a fruitful cooperation between our two organisations. We are all much richer by a closer understanding of people from diverse cultures and backgrounds and my belief is that both our members and those of HuPRA will benefit greatly from this collaboration. I am privileged to sign this agreement. This will provide access to CIPR's knowledge base and professional development materials for our Hungarian members. We at HuPRA are also happy to share our market insight, trends, best practices and network of public relations practitioners. I am looking forward to joint programmes and events. HuPRA members seeking to apply for Chartered Public Relations Practitioner status should contact CIPR Director of Professional Development & Membership, Sukhjit Singh Grewal by emailing SukhjitG@cipr.co.uk. For the CIPR, this follows the signing of a similar agreement with the Middle Eastern Public Relations Association (MEPRA), as the Institute looks to increase the footprint of Chartered Public Relations Practitioner status as the global standard of excellence in public relations management.